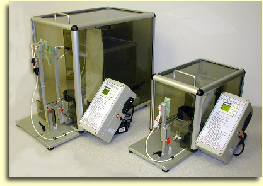 The Micro Quick Pouch I and Micro Quick Pouch II are tabletop medical pouch-loading machines, which have been very successful in increasing packaging efficiency. 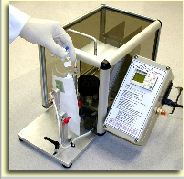 Examples are loading diagnostic test kits into foil pouches. These machines will pick a medical pouch, such as a foil bag, from a magazine and open the pouch for quick, easy medical product placement. The Micro Quick Pouch I and II also have the advantage of taking the effort out of opening pouches - this can help reduce concerns about carpal tunnel syndrome. • Weight less than 25 Lbs.